(New) Fast WD Blue 500.0GB SSD/Solid State Drive, DVD-Rom, Gigabit Network/Ethernet Sound. 6 Gb/s SATA ports, 8 SATA ports. 4 USB 3.0 ports. 5 USB 2.0 Ports. 5 PCI express slots. Silver & black case. Includes: Keyboard & Mouse. 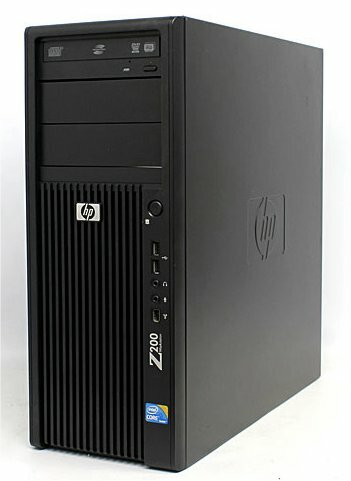 HP Z420 V2 Workstation is a high end solution designed for complex computing environments that require outstanding performance, expandability and capacity. Professional workstation with highest end Xeon Processors, built for Graphics, CAD/CAM, Gaming, and Industrial applications. Supports SATA, Intel VT, HT 8 Ram slots, Max 128GB memory. USB 3.0, 6 Gb/s SATA/SAS supported. Fast E5 Xeon V2(E5-1620 V2),Factory Turbo 3.90Ghz - 8 Threads in Window 7/8/10, and available for Virtualization.